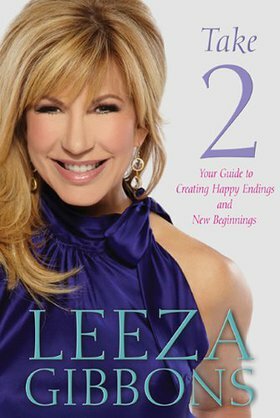 Leeza Gibbons is no stranger to new beginnings, and in her new book – Take 2: Your Guide To Happy Endings and New Beginnings – she explains just how you can take control and live life to your rules. Known for her work as TV host extraordinaire and founder of the Leeza Gibbons Memory Foundation, Leeza has led a fascinating life that has twisted and turned as she constantly reinvented herself. And in Take 2, Leeza leads us through some of the decisions that peppered her journey from a small town in South Carolina to superstardom in Hollywood, from devoted mother and wife to Alzheimer’s caregiver. Along the way she recounts encounters with Olivia Newton-John, Jamie Lee Curtis, Maria Shriver, Jessica Biel and many other stars she was able to draw inspiration from. Primarily aimed at women, Take 2 is also an important read for men who want to reboot their lives, or feel the need to better understand their partners. It is a book that can be read from cover-to-cover or dipped into on days when life is just not going the way you planned it. And with sections on change, how to look and feel good, and letting the spirit soar, Take 2 is a book that massages the soul and shows you how to live life by your rules. Leeza Gibbon’s Take 2 can be ordered at Amazon.com and Amazon.co.uk.